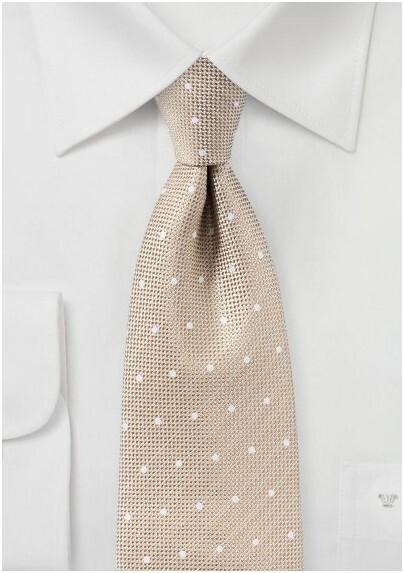 This sand colored tie with embroidered polka dots was made with the Summer day in mind. 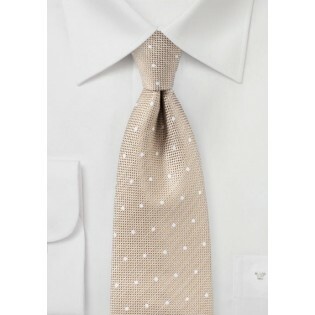 A fantastic choice for navy suits and shirts in white or ivory. Also a great looking tie for blue linen vests. This pattern and fabric also comes in lavender, light blue, and coral pink.